Last week I was invited to visit Kiehl's flagship UK store (the largest one in Europe!) for a skincare consultation and a chat about the brand. The store sits in the very swish Assembly Rooms on Edinburgh's George St - a street that's well known for high-end brands and designer items. 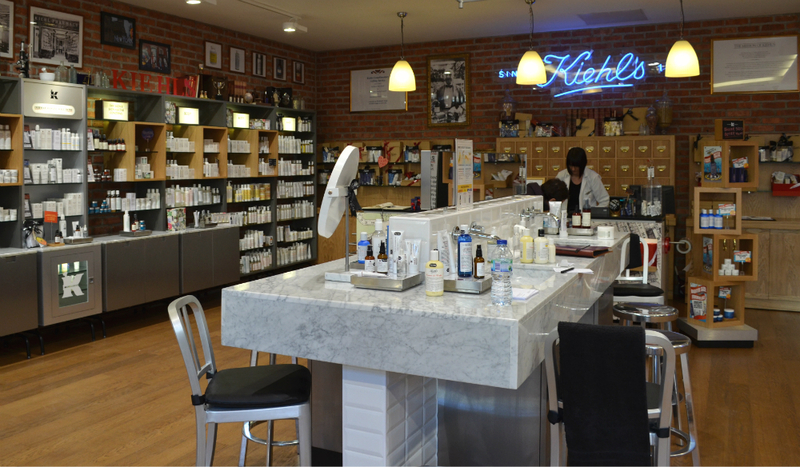 I'd popped into Kiehl's before but scurried off before actually speaking to anyone (it looked too expensive for me!) so I was pretty excited to have a proper look & see what they had to say. Kiehl's was founded as a New York apothecary in 1851. The founder (John Kiehl) passed the business to his apprentice (Irvine Morse), who handed it down through his family for the next 150ish years. I really loved hearing the history of the company - they have a big scrapbook in store that you can look through, and photos of the owners are up all over the walls. Over the years the business moved from traditional pharmaceuticals to skin care lines, with each family member adding items & developing the product ranges (for example, one daughter was a big fan of dressage, so she created horse care products!). 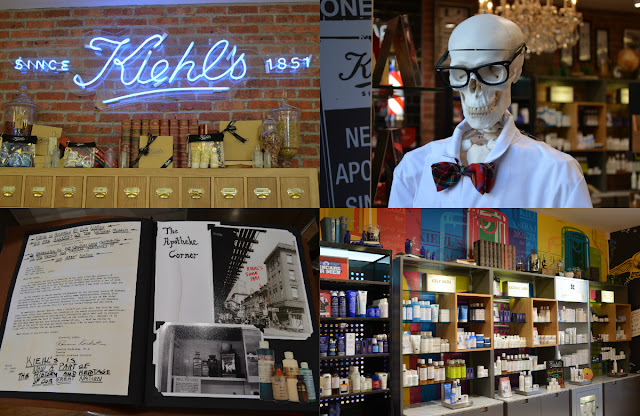 In 2000 the company partnered with L'Oréal in a bid to grow the brand's presence - but under the strict conditions that Kiehl's values were upheld, and that the generous sampling policy would be kept in place. The Edinburgh store carries bath, body, skin & hair care products, plus specialised ranges for men, babies & athletes. There's a big treatment bar in the middle of the shop, a coffee bar & a men's barber area... Boots this is not. It's a seriously beautiful shop to look at. For my consulatation, Cheree (the store's supervisor), did two tests - a hydration test (to check how much water was in my skin), and an oil test (to check how much - you guessed it - oil was in my skin). You can actually do the hydration test at home - just push your cheeks in an upwards direction & look for little lines (like crepe paper). If you see them it means your skin is dehydrated & you need to drink more water! For the oil test she placed two tabs (that looked a little like blotting paper) onto my forehead and cheek to check the oil content of my skin. My forehead measured normal, and my cheeks were a little bit dry, but overall my skin was balanced (which is good. Hooray!). We then chatted through my usual face, body and hair care routine (which is to say, mega lazy and non-existent) and Cheree gathered up loads of samples to show me. They offer free consultations & samples to EVERYONE and I'd really recommend going in and having a chat if you have a spare 20 minutes! I had been expecting a pushy hard-sell (as you'd get with some of the other high-end brands), but instead it was really relaxed & chatty - they want you to take away samples & then come back when you're won over by the products, rather than push you for a quick buck. The products are fairly pricey (think £15.50 for a 75ml moisturiser), but they are designed to last for AGES - they recommend using pea-sized amounts of each product at a time, as a little is designed to go a very long way! 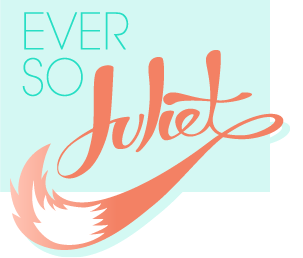 As a little treat, Kiehl's are offering a 10% discount to anyone who quotes Ever So Juliet in the Edinburgh store. This discount will run through February, so there's plenty of time to pop in for some samples & a chat, then buy the products you love a few weeks later! I'll keep you updated on how I'm getting on with the samples I'm trying... so far so good though (I'm actually remembering to use the cleanser each night, which is already a big improvement for a make up wipe addict!). 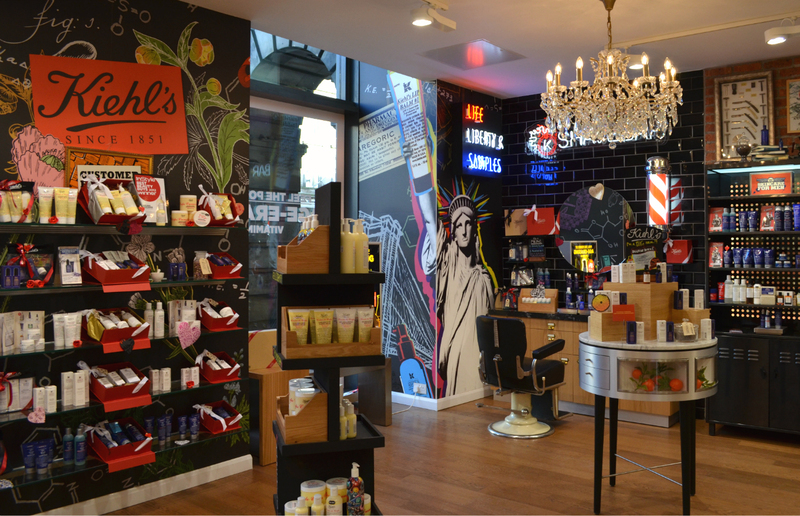 Kiehl's is based in the ground floor of the Assembly Rooms, 54 George St, Edinburgh.